Judicial clerkships are a great way for recent graduates to gain quality legal experience while also providing a boost to their resume. Clerkships are generally 2 years in length and provided recent graduates with the chance to work with judges from all court levels on cases coming before them. Because the best graduates in the country are vying for them, clerkships are often highly competitive. The skills obtained during a clerkship and the exposure to a wide array of issues make judicial clerks highly sought after by future employers. 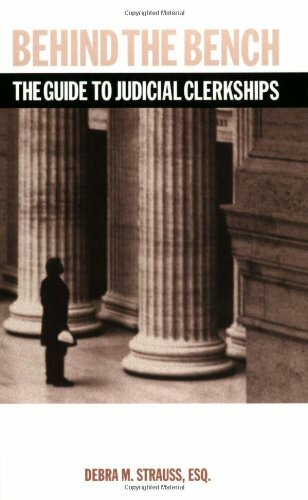 For more information on judicial clerkships, check out Indiana University Law's Guide to Judicial Clerkships. Includes information, dates, and job postings that pertain to federal judicial clerks. The Online System for Clerkship Application and Review (OSCAR) is the main system for finding federal clerk job listings. The Department of Justice Court Locator Map provides information and links to all of the federal courts in the United States. 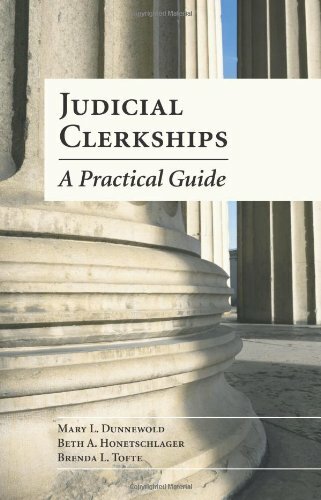 Includes a section on "Court Community Jobs" that include judicial clerkships. General information about judicial clerkships and notices for clerkship application deadlines.